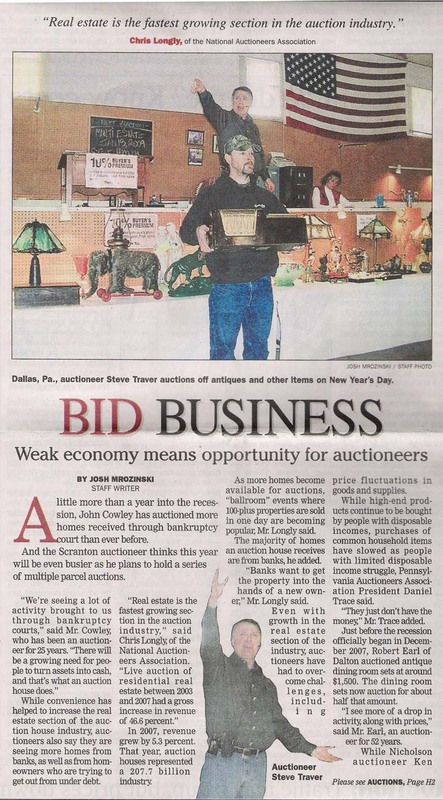 Traver's Auctions began as a small operation over 20 years ago and has grown in size year after year. Fascinated by antiques since childhood, Auctioneer Steve Traver was finally able to turn his hobby into his livelihood after meeting his wife, Diane, who shared his interest. 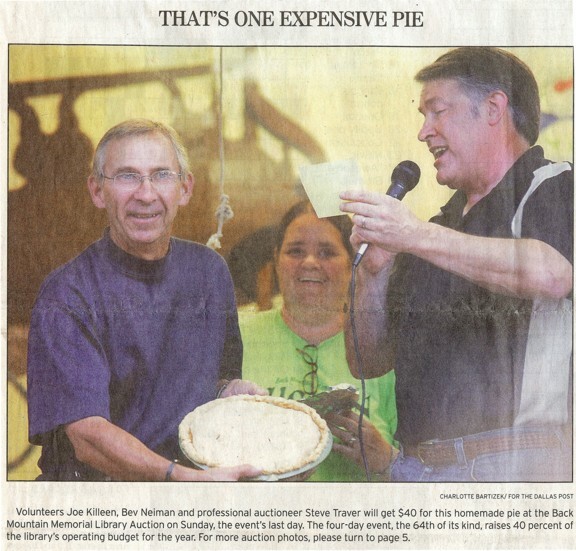 Steve and Diane also believe in giving back to their community, in the form of benefit work for the Back Mountain Library, Kings College, Wyoming Seminary, Ducks Unlimited, Turkey Federation, Red Cross, and plenty of other organizations. In addition, Steve has also lent his expertise numerous times to WVIA during their televised forums. 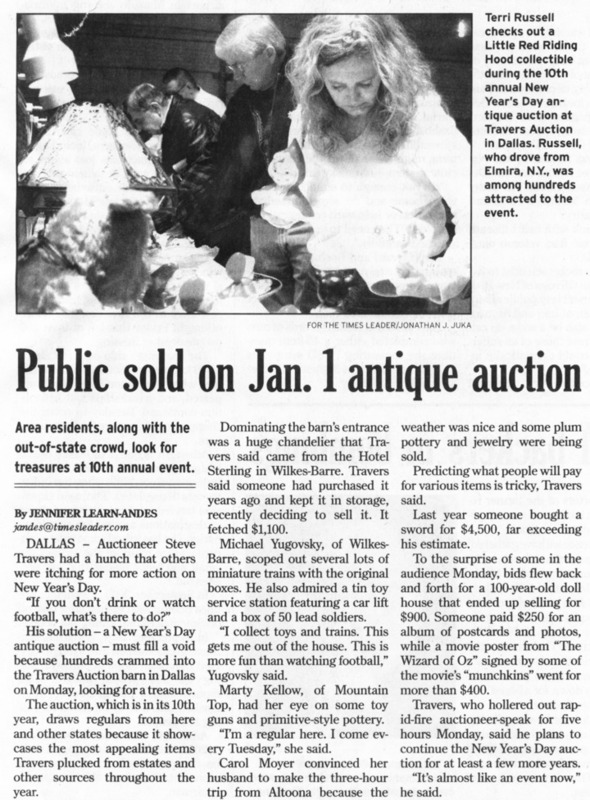 Over the years, Traver's Auctions has made plenty of appearances in the local newspapers. Below are just a few examples.